I love adding new shops to my teaching schedule, especially in parts of the country I've not taught before. This autumn I'm teaching three workshops at Handmade Studios in Rowland's Castle near Portsmouth. My first class is on Saturday 21 October and there are still spaces on this workshop. I'll be teaching Slip Stitch and Fair Isle Colourwork which is the perfect class if you're knew to knitting with two colours. 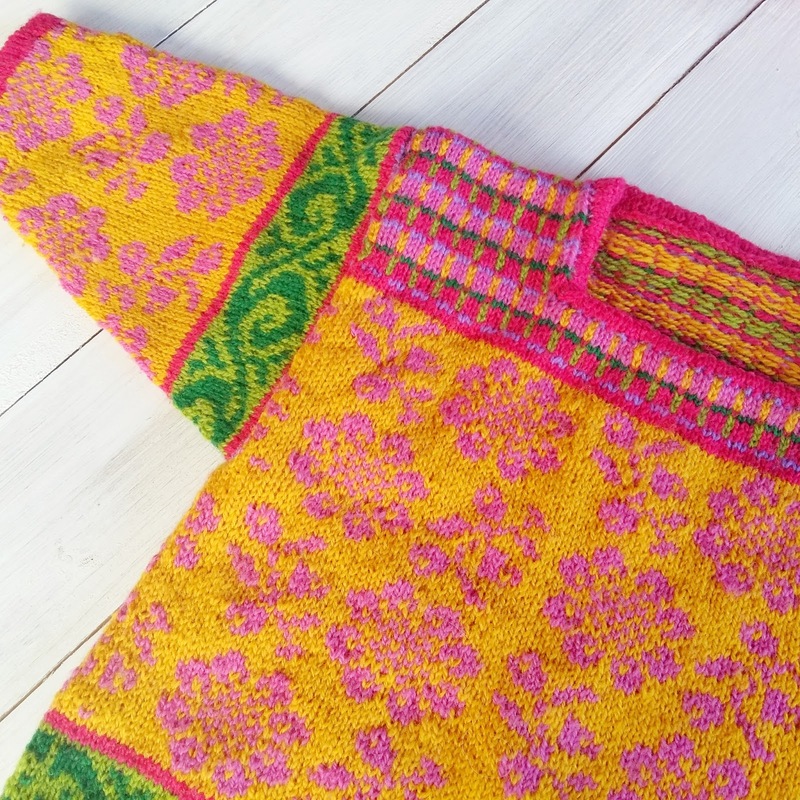 In the morning you'll learn how to work slip stitch colourwork which is the easiest way to incorporate colour into your knitting. 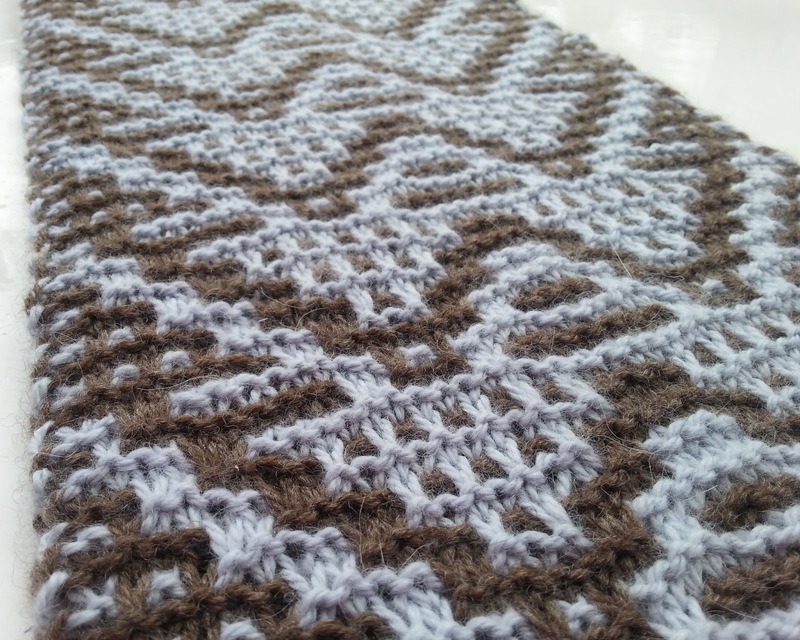 The scarf above is an example of stitch stitch colour work. In the afternoon we'll focus on fair isle knitting. You'll learn all the fair isle basics like knitting with one colour in each hand (if you're a continental knitter, I'll show you how to knit with both colours in the left hand), how to make sure your floats are the correct length, how to deal with long floats (ie how to weave in your yarn as you go) and how to read fair isle charts. You'll also learn how to knit in the round using the magic loop technique. 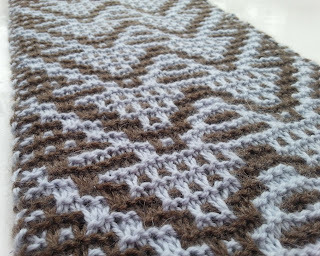 You'll get plenty of practice knitting a small swatch during the class. This class is perfect if you're new to fair isle knitting or you've done a bit of fair isle knitting but want to improve your technique. See the details of this class here. On Saturday 25 November, I'll be back at Handmade Studios for a Circular Fair Isle Yoke Sweater workshop. 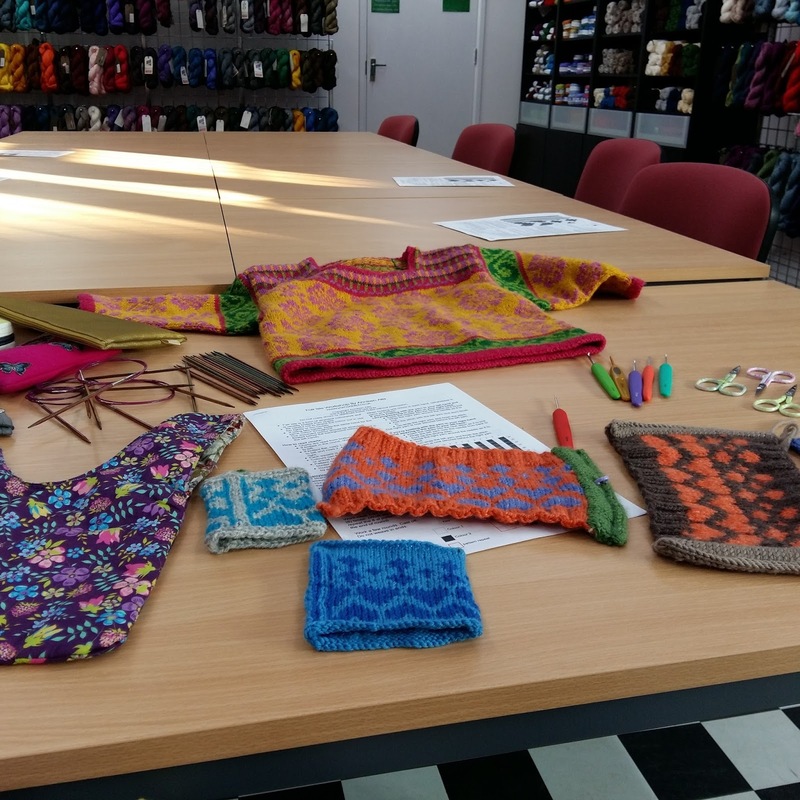 In this class you'll learn how to knit a sweater in the round from the bottom up with a circular yoke and how to incorporate a fair isle pattern on the yoke. We'll go through all the maths you'll need to work out the numbers for your own sweater as well as all the techniques needed to knit a circular yoke sweater. You'll also learn basic fair isle techniques such as knitting with a colour in each hand, how to make sure the floats are the correct length and how to avoid long floats. This is a new class for this term and I'm very excited to be teaching it. 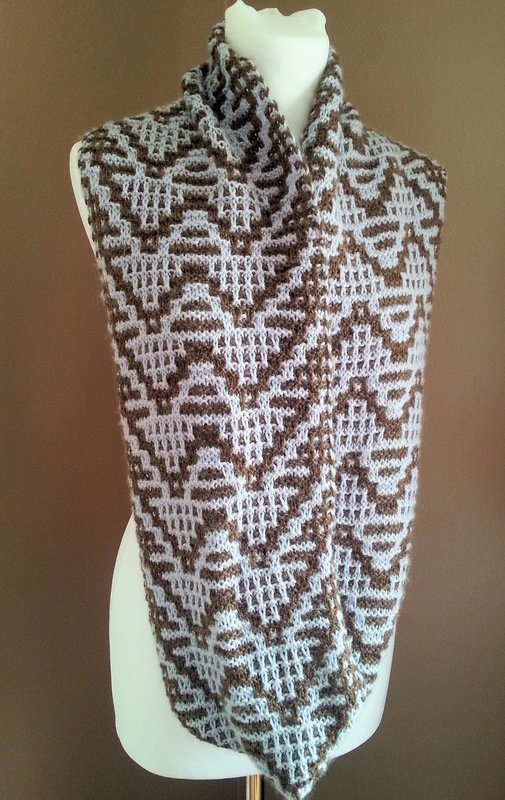 The sweaters in the photos above and below were published in Let's Knit Magazine and incorporate simple patterns on the yoke. More details on the class here. 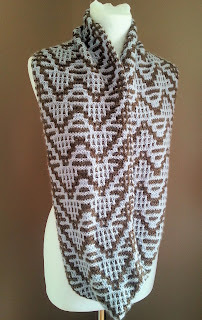 And finally on Saturday 9 December I'll be back to teach Fair Isle Knitting and Steeking. This is a fast-paced workshop where we'll go through fair isle techniques in the morning while you knit a tube. In the afternoon you'll learn how to re-enforce the steek with a crochet seam, how to cut the steek and how to pick up and knit a button band that covers the cut edge. More details on the class here. For all three classes, contact Handmade Studios for more details and to book and I hope to see you at one of these three workshops this autumn.